This 5 bedroom 2 full bath home has everything you need. Over 2600 ft.Â² of living space, two separate living rooms, wood-burning fireplace, large laundry room with sink, and plenty of storage space throughout. The exterior of the property boasts nearly 1 acre of ground, an in-ground pool, 32'x12' storage shed, large deck overlooking the gentle brook, mature trees, and plenty of space for outdoor activities. Included with the home is pool equipment, refrigerator, washer, dryer, stove, dishwasher, trash compactor, microwave, window treatments, and curio cabinet in living room. Directions: From 70 and 3. South on 3 to Spiceland, IN. West on Broad Street (for approx 6 blocks). South on Bond Avenue. Property is at the end of the road on the left. I was searching for a Property and found this listing (MLS #21545956). I would like to schedule a showing for 220 Bond Avenue Spiceland, IN 47385. Thank you! I was searching for a Property and found this listing (MLS #21545956). Please send me more information regarding 220 Bond Avenue Spiceland, IN 47385. Thank you! Home for sale at 220 Bond Avenue Spiceland, IN 47385 with the MLS 21545956 on TuckerCrossroads.com. The home at 220 Bond Avenue Spiceland, IN 47385 is currently for sale and features 5 bedrooms, 2 bathrooms, 2688 sq. ft. of living space, and is listed for sale at $134,900. You can search Indianapolis area properties for a home, a house, a condo, or a patio home to find real estate in Indianapolis, IN. 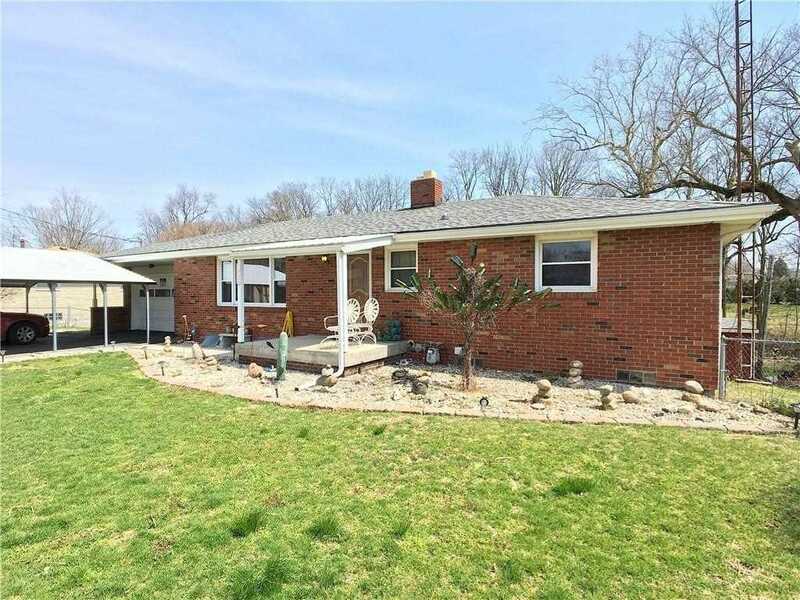 You are viewing the official Indianapolis MLS listing details of the home for sale at 220 Bond Avenue Spiceland, IN 47385 which is MLS # 21545956. The home has been listed on this site for 104 days and is found in the neighborhood.